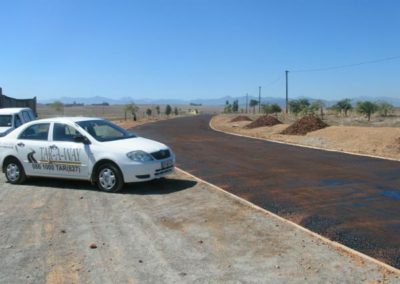 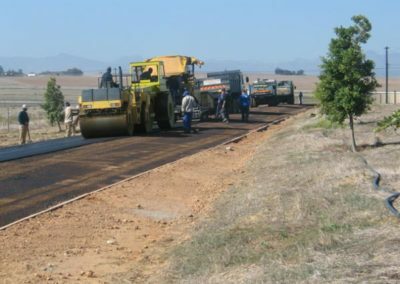 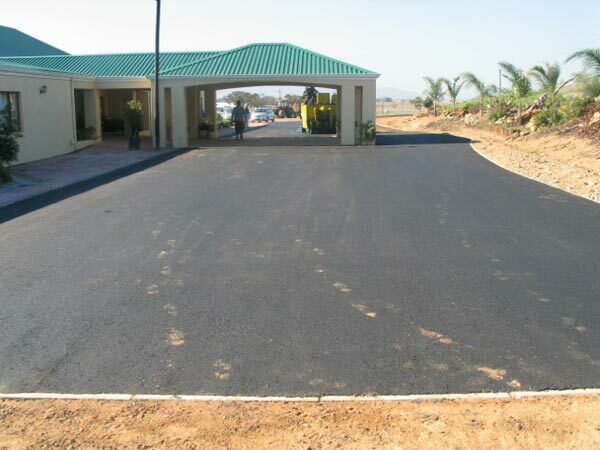 Complete new construction of private road at Eensgezindt, Durbanville. 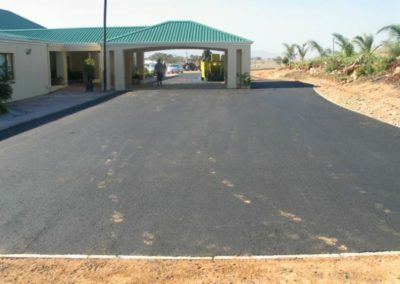 Photo 1: Example of primed road. Photo 2 & 3: Example of premix layer being applied. 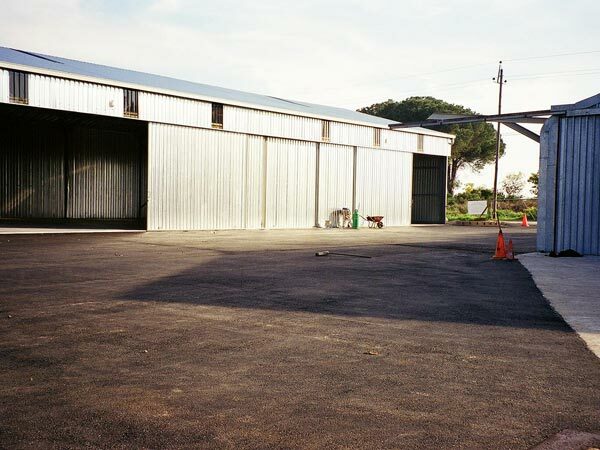 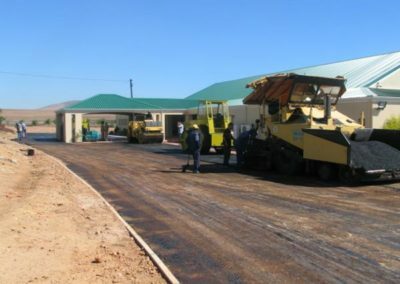 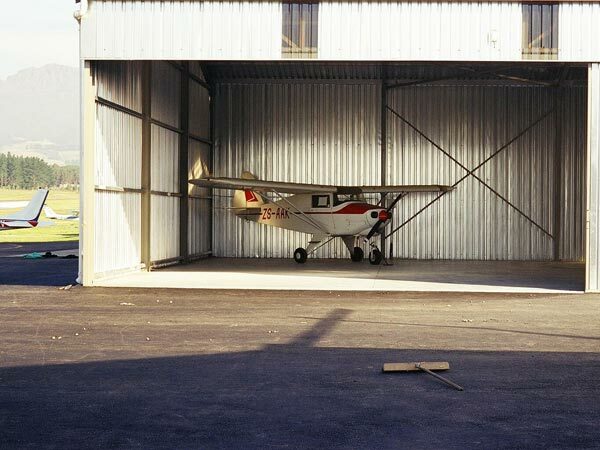 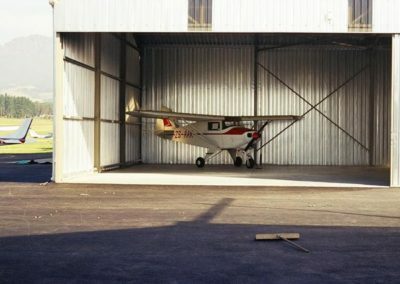 Construction and premix of Road towards Hangar at Stel Air Airfield.